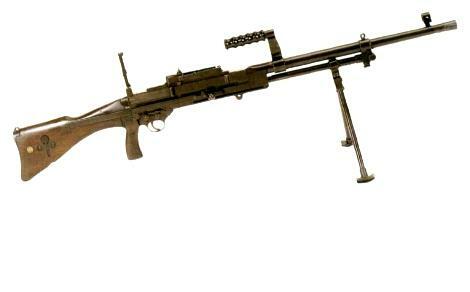 The Vickers-Berthier (VB) light machine gun manufactured by Vickers-Armstrong was based on a French design of just before World War I intended for use on aircraft. In 1925 Vickers in Britain purchased licence rights for production in their Crayford factory, and as a replacement for the Lewis Gun. It was an alternative to the water-cooled Vickers machine gun of same manufacture. The weapon used a similar gas and tipping bolt mechanism to the Bren gun, and also had a removable barrel, and was air-cooled like the Bren. It was adopted by the Indian Army in 1933. During the British Army trials of several light machine guns which began in 1932, the Vickers-Berthier was in direct competition with the Bren light machine gun. The British Army adopted the Bren, and the Vickers-Berthier was adopted by the British Indian Army. A production line for the Vickers-Berthier Light Machine-Gun Mk 3 was established at the Ishapore Rifle Factory. The reasons for its failure were simple; it was heavier, at 24 pounds than the lighter Bren at 22 pounds. It was also longer, and hard to stow away. The Bren also had a slower cyclic rate of 500 rpm, and far better portability. The only advantage the weapon had over the Bren was the far simpler design; it could be produced more efficiently. 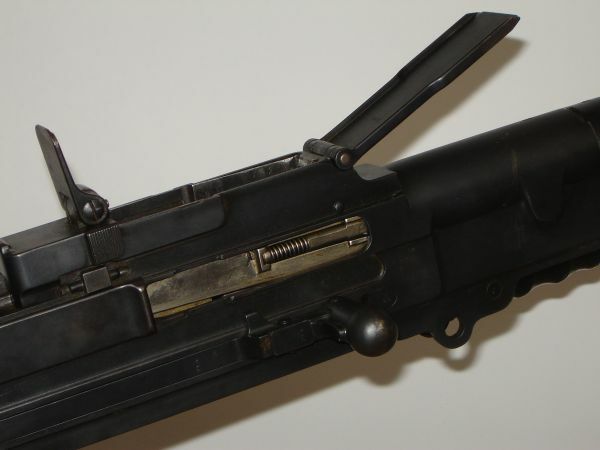 The Vickers-Berthier Light Machine Gun has a 30-round box magazine and a bipod stand, and is sometimes mistaken for the Bren as both used a similar curved magazine to accommodate the rimmed .303 British cartridge. 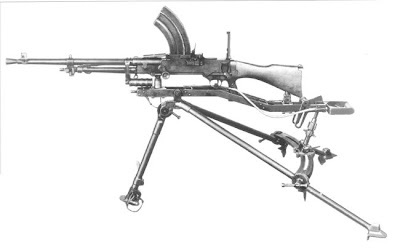 part from India, it was only sold to a few Baltic and South American states, but the design was modified into the Vickers K machine gun, called the Vickers Gas Operated (VGO). The weapon is fairly rare to see nowadays, but it remains in reserve with the modern Indian Army.